North America has enjoyed some busy Nintendo Download updates of late, with plenty of variety to choose from. This week is no exception with something for everyone, and the odd surprise, so let's get on with it. Sparkle Snapshots 3D (Nintendo, $5.99) — Sparkle Snapshots is exactly what it sounds like, a camera app that allows you to take pictures and apply a broad range of backgrounds, wallpapers and effects, included some nifty Nintendo options. It is undoubtedly targeting young girls — it couldn't be any more pink — but you can read about whether it's worth your while in our Sparkle Snapshots 3D review. Gradius (Konami, $4.99) — Another NES title makes an appearance on 3DS, with Konami's iconic shooter blasting onto the handheld's virtual console. It's a shooter that helped to define the genre, and despite not necessarily standing up to its many successors, we still think it's worth a spin. 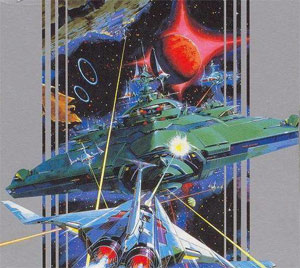 You can read more in our Wii Virtual Console Gradius review. Style Savvy: Trendsetters (Nintendo, $39.99) — Available from 22nd October alongside the retail release in stores, this isn't the highest-profile title to come out of Nintendo but will no doubt have a keen audience. There'll be lots of clothes to choose from, plenty of photo options and, we imagine, almost anything that you could wish for in a fashion simulation. There are also four older retail releases available to download from today, all for $39.99: Super Mario 3D Land, Mario Kart 7, The Legend of Zelda: Ocarina of Time 3D and Star Fox 64 3D. Moshi Monsters Moshlings Theme Park (Activision, Free) — Hunting for The Moshlings is the name of the game in this upcoming 3DS retail release, with the DS title in this series previously catching on and selling well due to this children's craze. One for younger 3DS gamers, undoubtedly, and this free demo should be a good sample of what's to come. Puzzler World XL (UFO Interactive, 500 points) — This title promises over 1800 puzzles, ranging from Sudoku to Picture Quiz challenges. The official blurb lists 17 different kinds of puzzles and promises more, so this could potentially be outstanding value at just 500 points. We'll get our thinking caps on and bring you a review soon. Reel Fishing Ocean Challenge (Natsume, 500 points) — Reel Fishing makes its third appearance on WiiWare and the fourth on the system as a whole with Ocean Challenge, landing ashore towards the end of Wii's lifespan. With lots of fish making this the closest thing to fishing "without putting on your waders", we can envisage a fair bit of remote waggling in this one. We'll put on our virtual waders — we don't need real ones, as Natsume points out — to let you know whether this one's worth keeping or throwing back. Dinosaur Office: Halloween Spooktacular! — A haunted printer. A creepy janitor. Craig dressed like a pumpkin. Its Halloween, Dinosaur Office style! Quite a few options this week, whether you're into fashion, fishing, puzzles or shooting stuff. Let us know what you plan to download in the poll and comments below. I really hope they bring back the 3D Classics series. Would love a 3D Gradius (or even better, Life Force) but am not all that fussed over the NES version. I'll keep re-playing my older games for the first time on my new XL this week, thanks. Downloading Style Savvy on Monday, I was hoping we'd see the second demo today, but I guess the first game will have to tide me over. Next week is going to be so much better. As much as I'm very happy to see NOA FINALLY! getting their DAM act together on releasing all these 3DS VC games like they should be, I'll probably skip Gradius today. My only beef now is, where are all the GAME GEAR games that we're missing out on over here?! Another NES title is always welcome on the 3DS. Especially excited about Ghosts n' Goblins next week. Also, we'll take that Mega Man release you gave EU this week, Ninty. Anytime you're ready. The more the merrier. @Barbiegurl777 I love your enthusiasm, even if it's for games I have no interest for! As for me, if I had cash to spend, I would consider Gradius. Unfortunately, since next month I am making the pricey purchase of a new console, I should be wise with my money and refrain from impulse buying. Besides, I'm still quite busy with Black 2, and there is no way I can pass up Layton later this month. Won't e picross ever come out for NA?! Guys I got this question... I live in Mexico and I've browsed both USA and Mexico eShops but I can't find the downloads for the new retail games... you guys got any idea on why this is happening? Can someone confirm if they're available only in USA or while North America? Kinda weird since NSM2 came out in Mexico too. @silentrock: It might be because the e-shop doesn't update until 12:00PM EST. Not that it matters now anyway because my 3DS crashes whenever I turn on wireless. I would get Gradius but I'm livin' on a low budget atm. Yeah, I would love to get Gradius or G&G or Mega man, but I got other things saved. As for Style savvy, I'm down for it. This week will be Fabulous! @Rawk_Hawk I used to have Nemesis on GameBoy a few years back, but it was so choppy it wasn't worth owning. 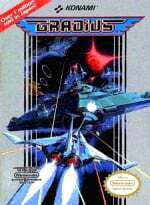 Now if Nintendo would release GBA games on the 3DS eShop, Gradius Advance/Galaxies would be a worthwhile purchase! Sparkle snaphots name alone makes me cringe. Pity I already have MK7 would've been perfect as a DD game. Gradius is an instant download for me! Did you guys forget the Mutant Mudds free levels, that's this week isn't it? @King_Boo Mutant Mudds DLC arrives next week in North America, I'm not sure why it's a week later than Europe. why did you lie gradius is not on the virtual consol on the 3ds? the kind of game you need not to hot swap and have handy all the time for a course or 2. @Rawk_Hawk I still play that a lot. The main problem is that the levels are a little long-winded but if you view it as a direct sequel to the NES game it's not bad. At least it has varied bosses. Shooters like Gradius are a pleasure to play on the 3DS due to the circle pad. It just makes it easier and more comfortable to control. @Samholy I am going to download SM3DL, SF64, and TLoZ: OoT 3D. I won't download MK7 because that cart will never be removed from my system! I love that game too much!! Nothing for me here. I'm still loving Cave Story. Awesome!!! Too bad I already have Gradius (and sequels) on my PSP, along with Salamander (and sequels), Parodius (and sequels), Twinbee (and sequels) and even Star Soldier (and sequels). Don't need another copy of the same games. I wish we got Nemesis instead, or the original NES Star Soldier. Those I don't have. A decent week and always nice to get new 3DS Virtual Console games, but I do have to wonder why some of the more famous NES games, like SMB 2 and 3 haven't been released yet. Gradius is ok and all, but portable versions of those two in their original 8-bit glory would be a gold mine for Nintendo. Seems weird that they're holding them back. So, Gradius is $1 more than the Virtual Console? Does this make any sense to anyone? Aww I thought Gradius might be a 3D Classic remake. Guess not. My brothers has played Gradius on NES when I was two years old! COME ON , PLEASE , pretty please with peanut butter on it ? i'm getting star fox 64 3D maybe. there's nothing else i really want. Downloaded Puzzler World XL, if you're interested in the game, I made a quick list of what's included in the forum. It's got a sim/shop management aspect to it, some people might like that. Nothing this week, looking forward to the Professor Layton title next week. If I download MK7, how do I get my profile from the cartridge? Are Starfox 64 and OoT still $39.99 anywhere? I thought they had dropped in price by now as they're each over a year old (not to be confused with them really being about 15 year old games at this point). At least in the US, my experience is that Nintendo games hold their retail prices for years unless they go "play choice". It would be great in Nintendo offered a trade-in option where you could get your retail games exchanged for download codes. Personally, I would rather have my games on the 3DS at all times so they could be played on-the-fly. It's always better than paying twice for the same thing.... yo. Am I the only one who finds it absurd that I have to pay again for NES games I've already bought on my Wii? What adds insult to injury is that so often these are released in lieu of new VC titles, some of which are a long time coming. Where in the hell is Kirby's Dreamland 2? Some of you complaining and being rude makes me so mad... seriously, just like children. I'm still waiting Megaman, but Gradius pleased the wait, a classic highly entertaining, even if Konami was smart he would have drawn in 3D Classics ... since in DS could enjoy the Konami Arcade Greatest Hits. Sadly nothing for me this week, but if I could download anything this week it would oot since its the best of the lot there, but I got it retail so no. Good update, but I already have a retail copy of what I wanted from the retail downloads list. ugh, i'm so sick of dinosaur office. enough already. Maybe Gradius for another time. But I'm excited to check out the new Dinosaur office! eh, nothing for me this week. even though Gradius is a fine game, I'm not a fan of NES VC on 3DS (just doesn't feel right, IMO). Not interested in retail downloads (prefer physical). Sparkle Snapshots 3D isn't my type of game, I don't buy DSiWare, & I don't have any interest in WiiWare. Oh well, I'm sure most will find something to enjoy from this gigantic update NightSky & Liberation Maiden hit next week, so I'm content. I got Puzzler World XL instead of Gradius (for now, anyway) and I am totally liking Puzzler World XL far more than I thought I would. It contains many more puzzle types than Crosswords + (which I love) and for $5, you really can't go wrong there if you're a puzzle fanatic like me. Gradius for $4.99? RIPOFF!!! You can buy the Konami Arcade Classics DS game used for $4.99, often in complete condition which features Gradius as well as Contra, Basketball, and lots of other games. Real fast before I dump this weeks dissappointing week. you can buy most of those games used on ebay for around 20.00 dollars used if you don't mind used games. Half price isn't to bad. other than the Mariokart. Mariokart always holds a pretty good price. but watch amazon also if you would like to save some money. @geozeldadude you can never get sick of dinosaur office, what's wrong with you? lol jk. personally I really do like me some dinosaur office. About the games, I already have 3 of the 4 retail/download games, LoZ:Oot 3D, SM3DL, and MK7. I like that they're available for download though. It might spark some good sales for them (even though they've already sold like crazy). That might be a good strategy for future first-party 3DS games. Release them retail-only, then a while later, re-advertise them for download on the e-shop. It could help sales, maybe not, but you never know. Really wanted Megaman but I may get Gradius. 3d land, kart 7, Zelda, and starfox, I already have. $40 is too high for retail downloads, IMO, but anyone who registers these awesome titles gets a free DK original Edition download. I'm so jealous, although I do have a repro of this game for NES. Hi everyone. I'm not new here(had an account a few years ago), and no your data won't be transfered from the 3DS cart to the DL version. I bought ALL the 3DS DL versions, and even put in the identical physical game in to see if maybe it would give a transfer data option, and it hasn't. I litterally just checked, unless there's some sort of trick to do it. The guy at Walmart thought I was insane buying $180 dollars worth of 3DS money. haha, especailly with $50 worth of $2 bills... and $16 coins... I think the data transfer option is only in Japan. Now I'm trying to sell the physical copies, and you can get $26 trade-in at Best Buy for Mario Kart 7, so I hope this helps. I already lost Super Mario 3D Land, and I really hope I find it, but I'd rather play it safe downloading them, instead of losing them, and not having the game at all. I honestly like the DL versions, and the more we support it, I'm sure there will be a price change, and other benefits. @SCAR392 Sorry, at Gamestop. I only traded that one in, for a $20 card, and paid the rest torward another card. They were gonna give me $9 for Starfox, and $13 for Zelda. Total BS. I can sell these games for more on the STREETS YO! Darn it, I keep having info. haha. The blocks of memory the games take up are also less than what was said before on this site. The amount of blocks posted on this site before, are probably how much you need for the game to be downloaded efficiently. I'm buying when the transfer tool is available. Reading this makes me want to replay OOT3D again. Cool. I have a 32 GB card, and it works really well. They go for $35 now at Best Buy. I still have 194,812 blocks with 14 GB and GBC games, 10 GBA games, 10 NES games, 5 3DS non-retail, 2 DS1 games, all the free apps, and now 4 3DS retail games. I spoil my brother and I, I think... haha. according to law, if you have a 3DS, you already have zelda OoT3D, so i doubt anyone will get that. @0LD Skool Punkit looks the same as Sony, Samsung, and all those other $2000 tvs. It's the best digital 3D screen you can get pretty much as far s tvs go. they look like that :0 wow, that's bad. haha. I played Killzone 3 in 3D, and it looks the same as far as the 3D effect, just with PS3 graphics. I would RATHER play them in 3D, but those TVs are so expensive. that's why i still have my 80's TV. i'm surprised it still works. i have a spare in my crawlspace, i let my great-great-great grandkids use it when they come over. I just called Nintendo, and they said that the 3D capabilities stated in the description in Mario Golf, leave the game open for improvements, and capabilities. for stuff later. My guess is Mario Golf 64, and Mario Golf GBC wil be compatible, or a free update of sorts. Still sounds strange directly stating that it displays 3D visuals though... haha. Oh well. It could very well be. We won't know til they do this! haha. I did metion that it was only on thay game description, even though all the other GB and GBC games do this. They said its a heads up for future improvement and to keep your eyes peeled for hints like this. People say Nintendo's Milking Money with old games, but they have probably spent more money all together than what they have at this moment. I think the Ambassador games also count as betas somewhat too. They just want to know what we want from our games, and it's led up to the possibility of playing all the games the way they were meant to be played from the beginning. The Nintendo rep said that technology has advanced alot, all concerning a Mario Golf download. haha. Their already working on 3D displays that have 10 layers of images for maximum visuals you know, instead of the standard 2 layer effect that makes it seem more convincable. I can understand how it would look. The 3DS and 3D tvs look like your looking so far away, with only a few things to look at in between if that makes sense. Next week we get Nightsky! Gradius? Why not Nemesis, the actual Game Boy version of Gradius? Nice to see Gradius pop up on the 3DS Virtual Console. I will be sure to pick it up soon. I am really looking forward to NightSky next week. Sabrewing, probably because they consider the NES version of Gradius superior to the Game Boy version. @Bass_X0 Actually, Konami just wants money. Still, first 3rd party NES 3DS VC game! Woo! Tried the moshi monsters demo out, shovelware at it's best.